Discussion in 'Questions and Info' started by Ptitlaby, Oct 10, 2018. You will find in this post a list of all Koreans updated, sorted by date starting from the most recent one. 1. 비타민 매니저에 '사이하의 증표 랜덤 교환 상점'을 추가하였습니다. 2. 사이하의 증표 교환 상점에 교환 가능 아이템을 추가하였습니다. - Click the button to display the same dialog window as when you were talking to the Vitamin Manager. 3. '사이하의 은총' 최대 수치를 350만 포인트 기준 100칸으로 변경하였습니다. - '사이하의 은총'이 최대 수치일 때 사이하의 은총 'x25(MAX)'로 사이하의 은총 수치를 출력하도록 변경하였습니다. 1. '사기충천 인절미', '사기충천 인절미(이벤트)', '타오르는 사기충천 인절미', '타오르는 사기충천 인절미(이벤트)'의 재사용 시간을 20분으로 변경하였습니다. 2. 빛나는 황금 미끼로 더는 강태공의 보물 상자를 획득할 수 없습니다. - 빛나는 황금 미끼로 확률적으로 강태공의 상자를 획득할 수 있으며, 강태공의 상자에서는 월척탄, 정령탄 교환권, 무기 교환권 중 1개를 랜덤한 확률로 획득할 수 있습니다. 1. We have changed the location of the following raid bosses. - Each raid boss is spawned in a different location after death. 1. We have upgraded the effect of 'Sword / Blunt Mastery' skill acquired by Maestro / Fortune Seeker classes. 3. Reduced reuse time of some skills. 4. 'Divine Heal' skill reuse time and skill casting time has been reduced. 5. The duration of some skills increased to 20 minutes, consumed MP increased. 7. Fixed a misleading phrase in the tooltip of the 'Sword Expert' skill. 2. Changed the reuse delay of 'Sayha's Blessing', 'Sayha's Silver Blessing' and 'Sayha's golden Blessing' items from 10 minutes to 1 minute. 3. We have changed the shiny pendant abrasive items to be exchangeable, sold in a personal shop, and store in a personal or clan warehouse. 1. The teleport function has been restructured. 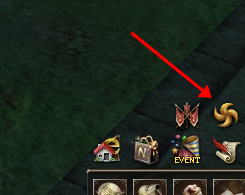 - You can either use the new Teleport Alert icon or the existing gatekeeper NPC to teleport to towns and hunting areas from towns. 1. Fixed the problem that the 'Forgotten Secret Book - 2', which is one of the reward items of 'Mission Level 86', was not given. 2. We have added a title to Newbie Helpers NPC in the starting village of each race. 2. Added quest quests for adventurers that can be performed by the character below 20th level and below 30th level. 1. Changed the on scree message for the character that achieved 1st place when cake raid is finished. 1. When you create a character, you can use the 'Next target (far)' action. 2. Added first and second class class change visual effects. 3. Fixed the problem that it is difficult to distinguish Hangul '달' and '딜' characters. 4. Fixed an issue where it is difficult to distinguish the previous class in the class change UI. 5. Fixed a problem where Goldberg's room key could not be used to enter Goldberg's room if a character under 80 was in the party. 1. We have changed the admission level of the Tomb of the Ancient Pirates to level 78+. 1. Added new levels to existing passive skills that can be learned when the character's level is between 86 and 90. Two-handed Weapon Mastery Increase P.Atk when using a two-handed sword or a two-handed blunt weapon. 1. We have downgraded the difficulty level of the following hunting grounds. 2. Added a new hunting ground "Tomb of the Ancient Pirates"
- Only characters at least levle 80 can enter. When entering and talking to NPC Captain Anthony, you gain a 1 hour buff. Once the buff expires, you are teleported out. - If you kill Goldberg's butler in this new hunting ground, you can sometime acquire 'Goldberg's Room Key'. NPC Sora in Aden will help you enter Goldberg's Room. 1. Added 4 new items which can be acquired through mission rewards. - Due ot this, Vampire Rage description has been modified to refer to "damage" rather than "physical damage"
1. We have increased the number of https://l2wiki.com/classic/Blood-stained_Cloth, which is the reward item of the 'Arrogant Seek' quest. 2. Revised the beginner's quest. - After completing the blue gem quest, you can move to the location of the new beginner quest NPC with the help of the beginner's assistant for each race. - Added 2 new quest quests per race and 20 levels when completed. - We have removed the Quests for the previous 20 levels and below, except the required quest items, and the article quests for the month. 1. Improved the shop inventory interface. - You can check shop list and selected product details at once. - The gift box icon will be displayed on the items received from other accounts. - We changed the focus to the next product after receiving the item. - We have increased the number of items displayed to 100. 2. Added a new UI window. - If your character achieves 40th level, you can transfer to the second class through the alarm button. 1. Added new clan skill 'Clan Death Fortune'. 2. 'Clan Death Fortune' is a passive skill that you can learn at Clan Level 1. 1. We changed the probability of acquiring fishes and items when using a 'silver bait'. 1. We have added the Agathion gift shop to the Dimension Manager's. - You can exchange 'Agathion Gift Box' and 'Solid / Improved Strengthening Order' for 'Greater Solid Enchant Scroll - Agathion' at the shop. 1. Fixed a problem where you could exchange the 'Sealed +10 Agathion' to a higher Agathion. 2. We have changed the 22 Queen Ant / Baium/ Orpen / Frintezza Dolls (all level / types) so they can't be sold to NPC shops. 3. We have unified the terms used in the tooltips of various items. 1. We changed the quantity of https://l2wiki.com/Entrance_Pass_to_the_Sepulcher from '1' to '3' as a reward of the daily mission 'Exploration of Imperial Tomb'. 1. Some of the skills of the warrior class that are affected by attack speed were classified as Magic Skills. Those are now classified as Physical Skills. 2. Changed the effect of the talismans 'Yellow Talisman-Block' and 'Gray Talisman-Block' to be applied only during PvP. 3. You can now purchase silver bait through the fishing npc NPC. 1. We reduced the number of crystals used for equipment upgrade costs by 50%. - Rare accessory items are excluded from the downward target. - Decreased respawn time for elite monsters. 2. Fixed the issue where Light / Dark NPC and features were appearing at the end of the siege of Gludio, Giran, Dion, and Oren. 1. Some Occult Skills have been changed as follows. Monster levels have been changed to 84 ~ 85 level. Spawned monsters have weaknesses against bow and magic attacks. You can teleport inside through the 'Vanutu' NPC placed at the entrance. 2. Fixed an issue where Real World Zaken Area and Baium Area Reade were changed to PVE area occasionally. 1. Increased the effectiveness of the Clan Clan upgraded the effectiveness of the abondance skill. 1. Enhanced weapon type guide from 'General / Blessing / Advanced / Stable Weapon Enhancement Order - S Grade' tooltip has been modified to be same as D / A Grade Weapon Enhancement Order. 2. We have modified the item that can not be shredded to be able to shred only dwarf class that acquired crystallization skill. 1. The number of powerful tribes in the 'Red Rising Event - Talking Island' instance zone has increased. 1. Fixed the problem of incorrectly displaying the EXP / SP increase option value when smelting with Top-Grade life stone. 1. Lowered the difficulty level of the 3rd class quests. 2. We have changed to acquire 7 quest items at a time if you kill Swampland Watchman, Fiery Ifrit, Flame Drake, and Ikedite. 1. We added the next target and previous target action for ranged attacks. 2. We changed the way to stop a looping macro. You can know stop it using the ESC key. 2. Fixed a problem where Command Channel members other than party members are sometimes displayed as party members in radar maps. 3. We have changed the skill 'Sharing Ability' of Summoner class to be available at level 76. 5. Shield Strike skill has been upgraded and the reuse delay has been changed to 4 seconds. 6. Damage attack effect on Shield Strike skill has been added. 7. Shield of Sacrifice, Protection of Eva skill re-use delay has been changed to 450 seconds. 8. We have upgraded the power of Tribunal and Judgement skills, and changed the reuse delay to 3 seconds. 9. We have unified the terms and wording used in the tooltips of some skills. 10. Corrected the problem that shield-defense is neglected and the critical probability does not increase in the Pauldon skill. 1. Added a mission to explore the Imperial Tomb that can be performed from level 78. 1. Fixed a problem where the NPC in the Goddard Castle Town was located on the roof. 1. Fixed an issue where the skill ' Shade Sacrifice' from the summon Nightshade was not applied to other party members in the peace zone. 2. Fixed a problem where the 'Curse of Shade' skill sound effect used by the summon Nightshade does not work properly. 1. Fixed an issue where the icon of the Improved Zaken's Earring and its corresponding skill were differents. 2. We have significantly lowered the upgrade commission for some A and B grade armor items. 3. 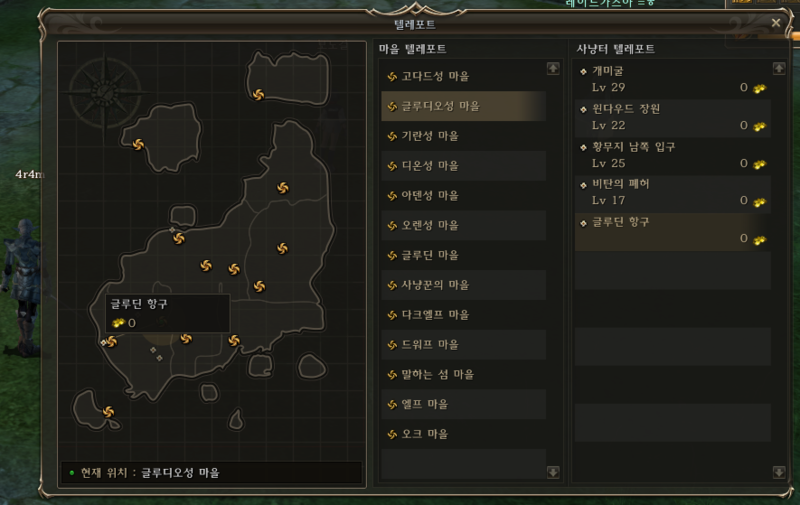 + 11 ~ + 12 Accessories (Black Ore / Majestic / Phoenix) can now be used to become immortal accessories. 1. We have changed the compensation of the daily hunting mission. 1. The cost of adena consumed when upgrading D to B grade items to higher grade items has been reduced. 1. Fixed to display the upgraded target enchant value in the result item tooltip during the upgrade process. 1. Fixed an issue where screen message notification is not displayed when succeeding +15 or more enchant or getting certain item from random boxes. 1. It is now possible to obtain an 'Entrance to Sepulcher Pass' from the monster Chakram Beetle in the Imperial's Tomb. 1. Added 4 instances zones. - In order to enter, you need the "Entrance Pass to Sepulcher item which you can obtain from the Blood Priest NPC. Mbaka, DIL, enereS and 4 others like this. Updated with the last 3 updates. It's interesting to see that they added to some monster spoils list a new Recipe for Mysterious Blessed Soulshots (like the one from the fishing event). Daveid_H and enereS like this. KSERW and Yolai like this. are there translated changes for whats going to happen? Yes, if you don't mind my poor English skill..... Note: some of them are for the L2 store, such player transform system, please ignore it. 1.Improve character's states, unlike transform scroll from L2 store, these transform skill can last forever. 3.Transform engraved book has classes, normal, superior, rare, legend, and mythic. 4.Each transform skill has its own cooldown. 5.Certain transform engraved book has extra skills when transforming. 6.Extraction can restore learned transform skill back to Transform engraved book. 『Spell wreck』：in 5 sec, Target and nearby enemies skills have the probability to cause a fail. 『Flash』：Remove nearby enemies tagged and flash forward. 『Flare』：Remove nearby enemies tagged, self un-targetable in 5 sec. 『Berserker mode』：in 20 sec, Increase 50% of P.Atk, M.Atk, Atk.spd, and Casting spd. -Can be learned from Lv 80 through Secret Book. 3.Some passive skills can learn up to Lv 85. Skills - such as weapon rsist., exp/sp gaining, pvp damage increase....etc. 5.Some new character skills added. Not so important, so I did not translated. 4..Added six Boss essences. For upgrading Boss, basically 5% more states. -S double blade upgrade, gained S grade stamp, Tallum+Black saber's box. (You can get either Tallum sword or black saber with box. - grade equips has more values when intensify, but has less intensify chance than D to A grade. 11. Equips upgrade system ~~~Hola here it is. -Requirement : weapon +12 to +35, Armor +10 ~ +25, accessories +8 ~+20. -upgrade fees depend on the item's enchanted value. -Normal upgrade the enchanted value will drop by 1 (if success). -All armors upgrade, the item needs to be in the sealed state. -For body armor, upgrade from one-piece(full body) to a Top or a Bottom, you will only get Top piece. -If there isn't the same class level of equips, won't process the upgrade. -Normal upgrade is 100% pass chance. -S upgrade chance depends on item's enchanted values. 14.Casting may have a chance to get double items, but not materials, soul shot, arrow, and other consumables. 16.EXP scrolls became 0 weight. 18.Gain weapon/armor intensify stone when the item fails to intensify. -weapon/armor intensify can change "stable intensify scroll" D~ A from Gian NPC. -ID successful passed, chance to gain: Frintezza necklace, S grade material, and abrasive...etc. -Price: gain A grade weapon/armor box and S grade materials, gemstone...etc. Note1: The exchange system is 100% successful chance, except changing to S grade. Note2: Each exchange will -1 enchanted value, during D ~ A class, you can change from D to A3 (A class most top) in once and only -1, but requires different special abrasives. Kamaels on 27.02 at KR. i was waiting for them !!!!!!!!!!!! Nope, its patch for aden pvp server not normal classic server. "Jan. 23 (Wed) Aden Server Update Guide"
Also read it and says nothing about kamaels. Yeah, its for aden. But is not an update from Jan. 23, its a future update from 27.02. Just watch the video I linked. Anyway, if its coming to Aden, its possible its coming soon to regular Classic servers. Can we get detailed info when its going live on skelth ? these are minimum value requirment or fix enchant value? is possible to trade +16 C top ---> + 15 A1 ? still no answer m8... you can change only +12 c top ---> +11 A1 or you can go and +16 C top ---> + 15 A1 ?